In many cases you may have pictures, videos, or any other type of file on your computer that you want to use on your Raspberry Pi. 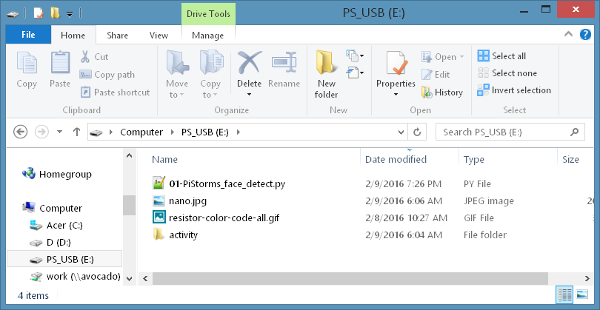 Below is a quick and easy way to transfer those files to your Raspberry Pi with the use of a USB storage device. Locate the device in the file explorer. 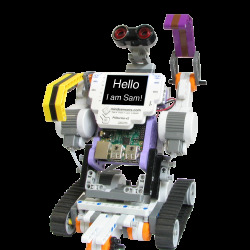 Remember the name of the device so you can easily find it on the Raspberry Pi later. Here I used the name PS_USB. 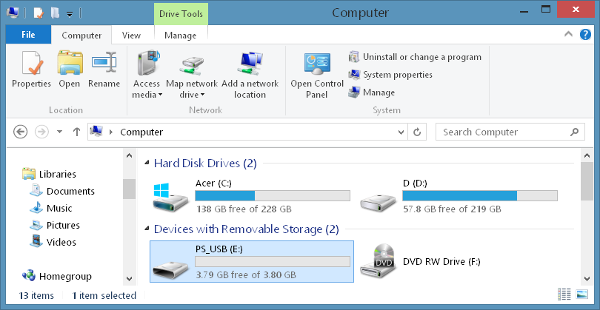 Move any files you want to transfer to the Raspberry Pi into the USB storage device folder. Unmount the and remove the USB storage device from the computer and insert it into one of the USB ports of the Raspberry Pi. 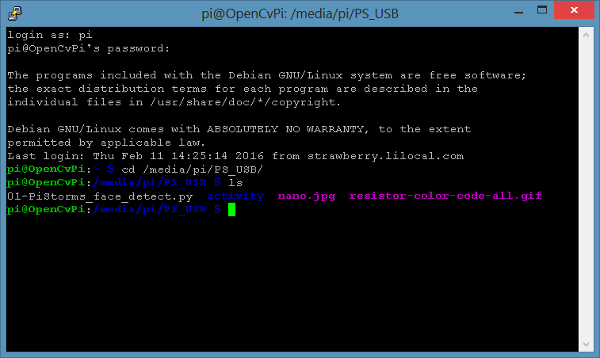 The remaining steps of this tutorial use the Rapberry Pi command line. At this point you will need to access the Raspberry Pi through a terminal and login with the username (pi) and password (raspberry). 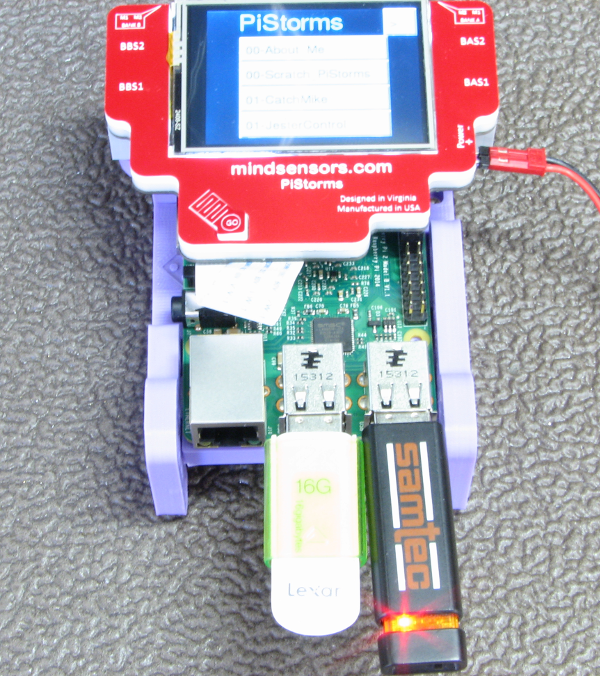 You can use the terminal provided in the GUI or follow the Hyperterminal Connection section in the instructions here to gain access to the Raspberry Pi. Navigate to the USB storage device folder. Remember the name from Step 2 and replace PS_USB with the name of your device in the code below. 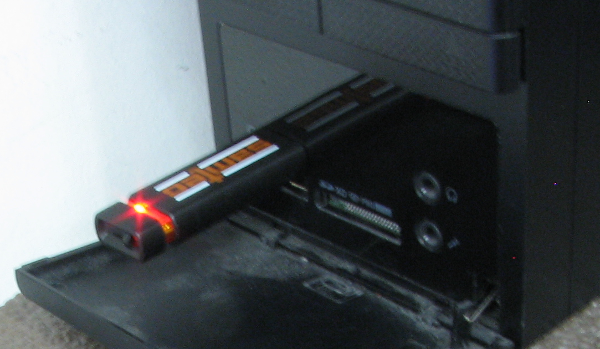 Use the ls command to view the files in the USB storage device. Copy the files into whatever folder you desire. I need a picture for a PiStorms program so I will copy the nano.jpg file int the PiStormsprograms folder. Navigate to the folder where you have copied the file(s) to make sure the transfer was completed successfully. Great Job! Your files are now where they need to be.